A victory was key to ending the year on the right note, and Barça Lassa delivered in the Euroleague after a great game from the whole team. 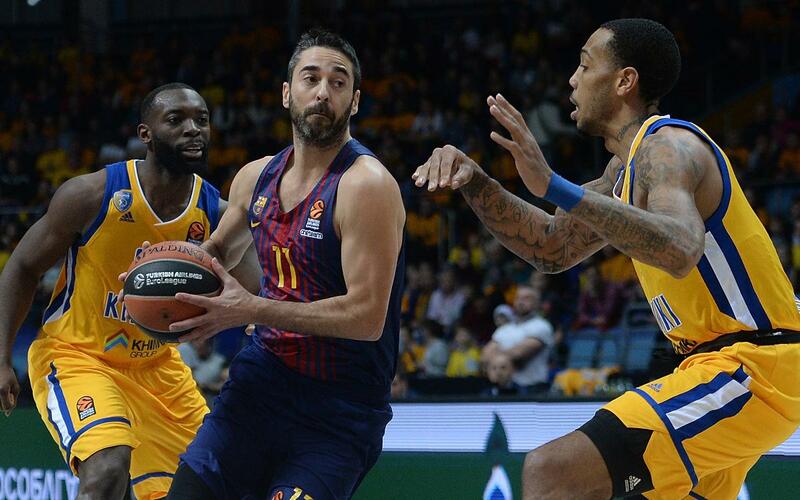 Defensive intensity, control on the rebounds and all-out attack were facets of Barça’s play throughout, enabling Sito Alonso’s side to record a convincing win at Khimki (65-79). Ante Tomic and Joan Carles Navarro recovered several balls early on, and at the same time the success in attack ensured the first considerable points difference in the last seconds of the first quarter (15-25). In the second period, the Russian’s reduced the deficit to a single point (32-33), but it was only a temporary reprieve as Barça Lassa surged ahead again before the break (32-36). By the end of the third quarter, Khimki had managed to stifle much of Barça’s play and went into the final quarter level (57-57). Stung by the comeback, the Blaugrana regrouped and scored easily whilst preventing the Russian team from having clear chances at the basket (65-79). This Sunday, at the Palau, the Endesa League will return with Fuenlabrada the visitors in the last game of the year (12.30pm CET).